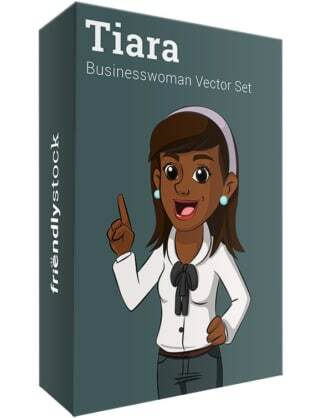 Royalty-free vector illustration of a black businesswoman staring sadly into her empty wallet with an insect flying out of it. Looks like it’s time to make a change! Royalty-free vector illustration of a black businesswoman emptying her pockets to prove she doesn’t have any change. A dollar sign with wings is flying away into the background. Don’t ask her for money! 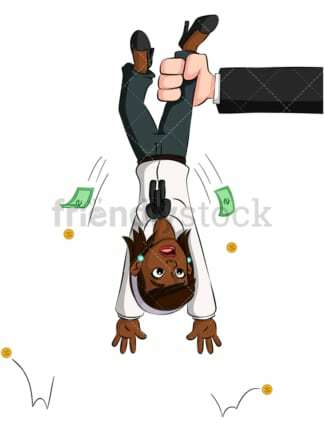 Royalty-free vector illustration of a panicked black businesswoman being shaken down for her money by an anonymous strong arm. 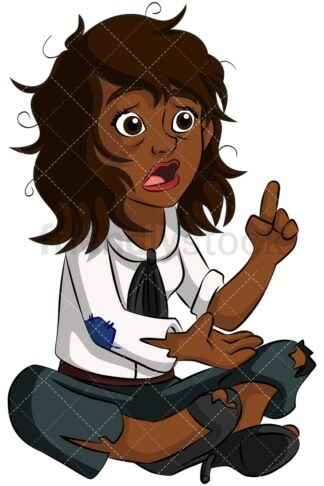 Royalty-free vector illustration of a homeless black businesswoman with holes and patches in her suit. She’s sitting on the ground and speaking with her pointed finger raised up. Is the the “How to get rich” seminar? Royalty-free vector illustration of a black businesswoman in a crumpled hobo suit with holes and patches. She’s holding a sign up asking for help and looks like she’s on the streets begging. What went wrong? 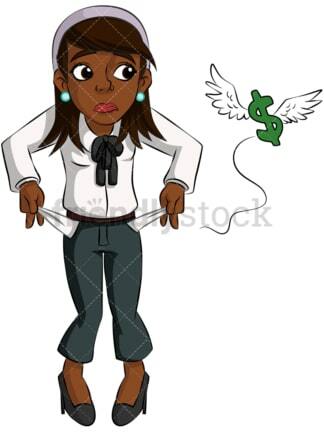 Royalty-free vector illustration of a black businesswoman reaching for dollar bills that are flying away from her on wings. She looks stressed because she can’t seem to catch up. Will she get to them in time? Royalty-free vector illustration of a distressed black businesswoman reviewing a mound of paperwork. The papers are piling up the ground and she has a sad look on her face. Will it never end? 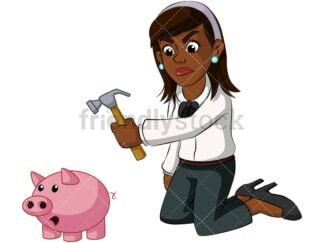 Royalty-free vector illustration of a black businesswoman about to crack open her piggy bank with a hammer. She looks determined. How much has she saved? 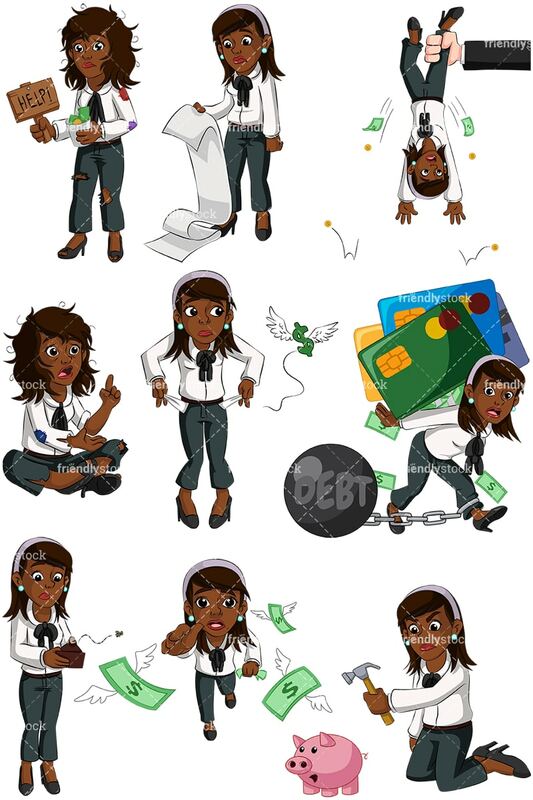 Royalty-free vector illustration of a black businesswoman chained to the debt she’s carrying. She’s got a pile of credit cards on her back and is hunching over from their weight.